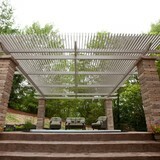 We manufacture the worlds finest patio cover that provides sun, shade or protection from the rain. With matching modular aluminum kitchen system that provides cooking, serving and a beverage center we can create a lifetime of outdoor memories with you family and friends. We aim at your ultimate satisfaction and hope that our work together is the beginning of a relationship together. Preferred Outdoor Designs provides professional and innovative design build landscaping services and we are at the forefront of paving stone installation. We enjoy what we do, are constantly striving for excellence and warranty our work from the ground up. We believe that as people become aware of the superiority of a segmental pavement and that as we continue to require our customer's overwhelming approval of our installations, Preferred Landscape will continue to be a dynamic leader in an expanding industry. Founded in October 2000, Screens of Kentucky, LLC is family-owned and operated, right here in Louisville, Kentucky, by Casper & Marie Resch. 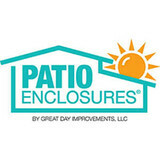 Screens of Kentucky is the Authorized Phantom Screens and Sunesta Awning Distributor for Kentucky and Southern Indiana. We are committed to providing you with the ultimate in retractable screening solutions and are dedicated to complete customer satisfaction. All personnel have been trained by certified Phantom representatives, ensuring quality workmanship, professionalism, and courteous service. To Screen or Not to Screen … with Phantom’s Retractable Screen solutions you can have it both ways. We have settled many screening dilemmas among couples when one desires screens and the other doesn’t. With Phantom Screens, everyone gets what they want, and everyone is happy! When we first saw Phantom Retractable Screens during a visit to Florida, we knew we had to have them for our home in Kentucky. This was the perfect solution for our out-swing French doors! With no Phantom Distributors in Kentuckiana and all Phantom products being installed by factory-trained professionals only, we couldn’t even order the screens and install them ourselves. So, in October 2000, we became the Authorized Phantom Screens Distributor for Kentuckiana. We turned our disappointment into an opportunity. We have been sharing the Phantom Experience ever since! 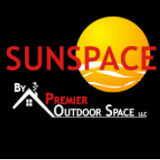 Decking & Outdoor Living Contractors providing residential & commercial services in the LOUISVILLE/Metro/Southern Indiana area. 19 yrs in business; Angie's List Super Service award winner in 13', 14' and 15'. We do about anything with decks, fences and pergolas. Thank you. Quality Decking Solutions offers quality workmanship and a high level of professionalism. Mr. Skinner has been in the business for over 18 years with many satisfied customers. Quality decking is fully insured. 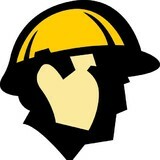 I am a small construction business who can and will meet any and all your construction needs. No job is to big or to small! I am very professional, reliable, and dependable. Fully insured and free estimates. we are a small family business that is detailed oriented. we are hands on craftsmen that do 95% referral work. Specializing in Decorative Concrete Projects New or Existing Construction. Unlimited designs, patterns & color options for a authentic look & feel of slate, wood, stone, brick, etc. Extremely affordable & cost effective. Very low maintenance compared to other flooring options. D & D Contracting has been in business for over 20 years. We are fully insured, locally owned and operated, and have completed hundreds of projects in Louisville and the surrounding areas. Our installers are professional and have over 20 years in the construction industry. You will deal directly with the owner to keep the quality high and the prices low. No salesman or middlemen involved. As the owner, I oversee each project personally to ensure that you are getting the highest quality job possible. Satisfaction Guaranteed. What services do deck and patio builders in Crestwood, KY provide? To help you choose the ideal style, configuration and materials for your deck or patio, your deck and patio contractor will survey your Crestwood, KY lot and your home to come up with a design that complements your exterior as well as being structurally sound. He or she will recommend sizes, heights and construction materials that suit your lifestyle and climate, as well as explain the best stain or finish options. Additionally, deck and patio professionals can provide insight into additional components such as outdoor kitchens, patio covers, fire pits, outdoor lighting, arbors and more. Your deck and patio professional might work closely with another Crestwood, KY lawn and landscape professional. Here are some related professionals and vendors to complement the work of decks, patios & outdoor enclosures: Landscape Architects & Landscape Designers, Garden & Landscape Supplies, Stone, Pavers & Concrete, Landscape Contractors, Building Supplies. Find a deck and patio builder in Crestwood, KY on Houzz.